Our firm was founded in 2001, but our experience goes back years before that. More than 45 years of combined experience is what we bring to the table for each of our clients. 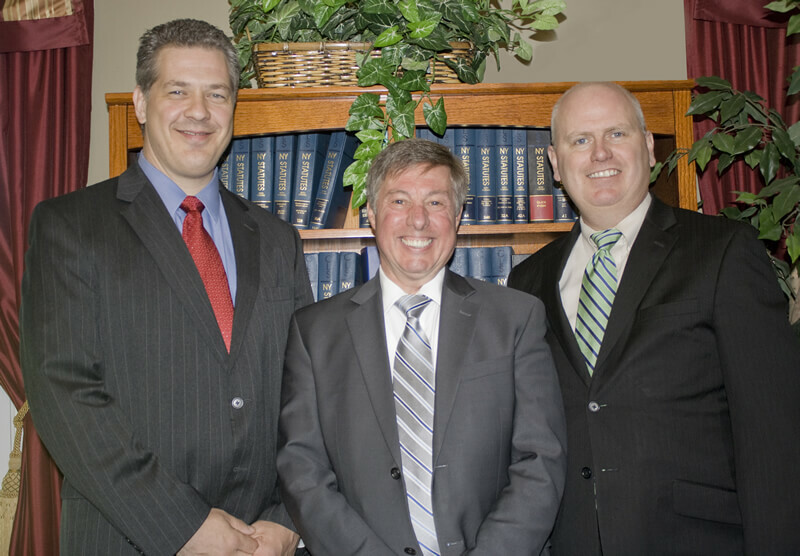 Our Poughkeepsie family law attorneys have a passion for helping individuals through some of the most difficult legal matters they can face, like criminal defense cases, divorce, financial difficulties related to foreclosures and real estate law. Verifiable experience in difficult trial and courtroom litigation matters: Your attorney should do more than just say he or she is experienced. There should be a proven history of time and skill in the legal matters that are important to you. If you need a strong litigator or negotiator, you should be able to count on your lawyer to stand up for you relentlessly. Extensive legal resources and familiarity with the legal community in your area: Having an understanding of key players in the local legal community can help you achieve more efficient, cooperative results. We know local judges and prosecutors and their working styles and use that knowledge to your advantage. Customized attention, assessment and development of legal strategies: While having a strong litigator on your side is valuable, not every case requires an aggressive approach. We only take matters into the courtroom if necessary and will do all we can to make sure you achieve favorable results with skillful negotiations when possible. The ability to answer the tough questions that your attorney should be able to answer: You should take the opportunity to interview your attorney and make sure he or she is the right person to protect your rights. 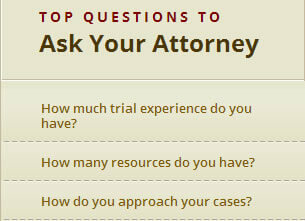 Do not hesitate to ask about a lawyer’s case history and evidence of his or her legal methods.